HomeARTICLES#MTVMAMA-WHY WAS EAST AFRICA LEFT OUT?! #MTVMAMA-WHY WAS EAST AFRICA LEFT OUT?! By Byaruhanga Felix (@TheNinjaFelix) – Dissatisfied Blogger and Music Fanatic & Kyle Duncan Kushaba (@uptownkyle) – Dissatisfied Media Journey man and Recording Artiste. 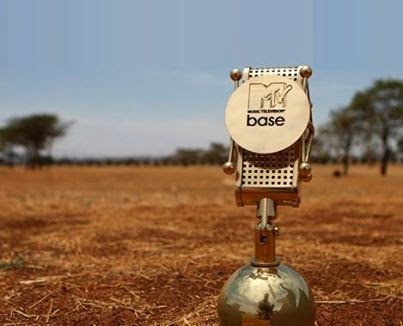 Last Wednesday (16th April 2014) MTV Base announced the 2014 nominees (see full list here) for the MAMAs after a 3-year break. First of all congratulations to all the sponsors, a big thank you to the sponsors and the team at MTV but we as East Africans, we are not satisfied in the least. So let’s focus on the nominees; this year has Nigeria with the most nominees, as usual (11 out of the 15categories) including the non-musical categories, and then followed by South Africa. East Africa managed to scoop only four nods (Sauti Sol, Amani, Diamond, Radio and Weasel) which left us with a lot of unanswered questions. What does this mean for East Africa?! What are the chances that East Africa was left out in most categories? Does this mean East Africa isn’t at par with the rest of Africa when it comes to producing quality music and videos that surpass the MTV Base standard or are our artistes not creative/hardworking as we thought? The answer is definitely NO!!!! And a resounding NO. Look at guys like Navio (Uganda), Octopizzo (Kenya), Victoria Kimani(Kenya), Keko (Uganda), Ruyonga (Uganda), Ommy Dimpoz (Tanzania), Vannessa Mdee (Tanzania) and many more. These guys have worked their asses off but MTV doesn’t recognize that. WHY? Probably someone reading this is thinking that yeah East Africa had nice music but they considered music between March 20th 2013-March 19th 2014 and also airplay of the songs on MTV Base; you are right and we put that into consideration. When you do some digging for example for the artistes we have mentioned above they released some great material within that time frame and amazing stuff at that. As for airplay those artiste’s songs did get some heavy rotation some ended up on the MTV Base countdown, on the MTV Base website. The songs went ahead to get airplay on other Africa’s music channels like Channel O, Sound city and Trace Urban. So why does East Africa have few Nominations? So we dug in and realized MTV is pretty much a business organization that cares where it cashes in the most! At the end of the day we will have to come down to numbers, are sponsors and the team at MTV getting their worth?! As of 2012 East Africa (Uganda, Kenya & Tanzania) has over 22Million internet users all together while Nigeria has over 48Million users and South Africa over 8million users. MTV boasts of 48.5million viewers in 48 African countries. So roughly let’s consider (assume) 1/4 of each country’s/region’s internet users contribute to the MTV viewership, they are interested in the awards will vote and contribute to the hash tag ‘#MTVMAMA’ (making it trend/go viral). That will give us over 5million active online viewers in East Africa, 12million active online users in Nigeria and 2million active online users in South Africa. Ideally if you’re not running an NGO like a commercial TV station you will consider different ways of minimizing expenses and ensuring a viral/trending (promo) for your event the fact that it involves voting online. As a result you have to consider the stakeholders (countries) with the numbers and give them first priority, because at the end of the day you have a sponsor (who wants to sell his product as you also achieve your goal) and a large number of people who subscribe to your TV to entertain (giving them a reason to stay tuned in and bring others on board); Thus some countries being left out and some artist’s hard work not being recognized. Don’t get us wrong, we are not saying artistes from West Africa or south Africa don’t work hard, they do in fact every artist who is nominated deserves it and has put in a lot to get there. All we are saying is that East Africa was given little consideration (left out). There is still time MTV, Make some changes.